From the first sip of coffee to the midnight snack, from packing school lunches to cooking up big holiday celebrations, your kitchen isn’t just the heart of your home, it’s your command center. It has to work efficiently and be a beautiful place to spend your days and nights. 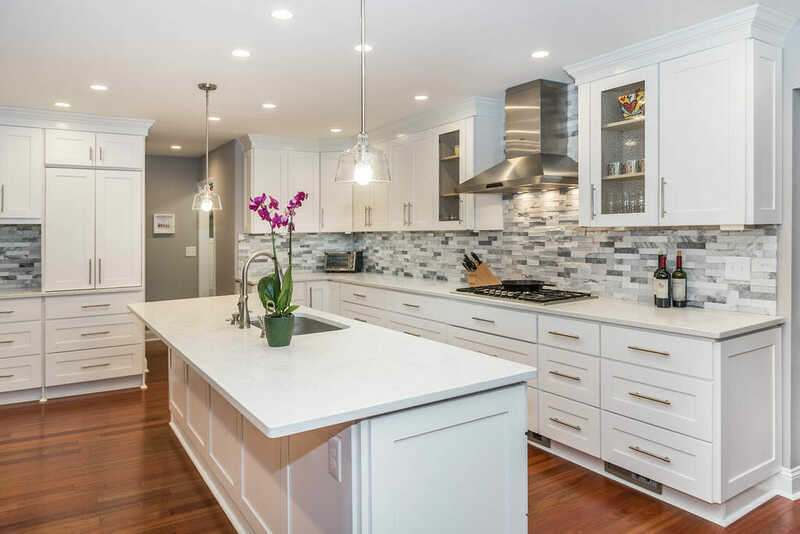 All of our kitchen remodeling projects make life better for our clients, including adding pantries, building mudrooms to keep life organized, or tucking in a laundry room or powder room. 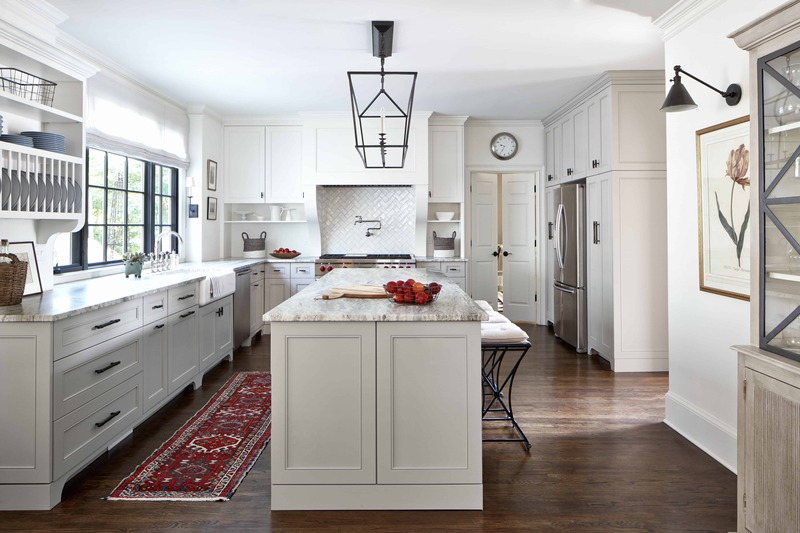 A big island clad in wood adds a warm tone to the white cabinets, and barn doors add a rustic beauty without taking up space in this East Cobb kitchen remodel. 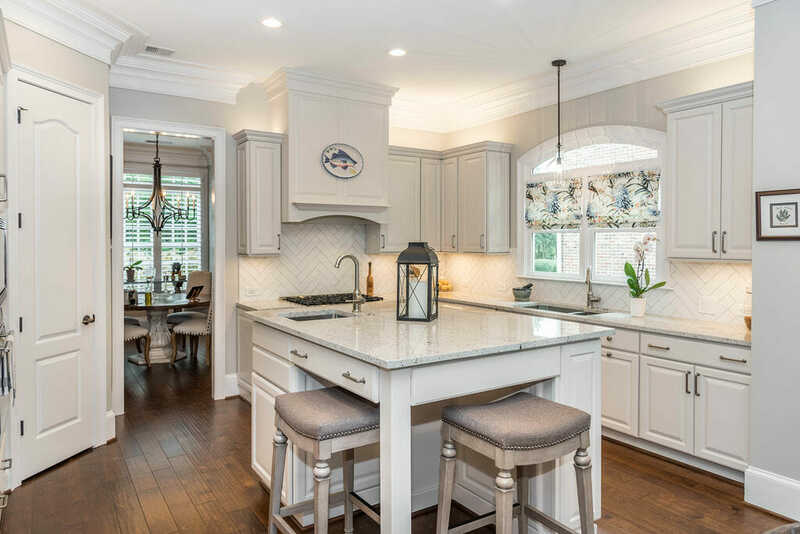 This bright and sunny kitchen remodel in East Cobb adds seating, a gathering room, new powder room, and adjacent laundry. 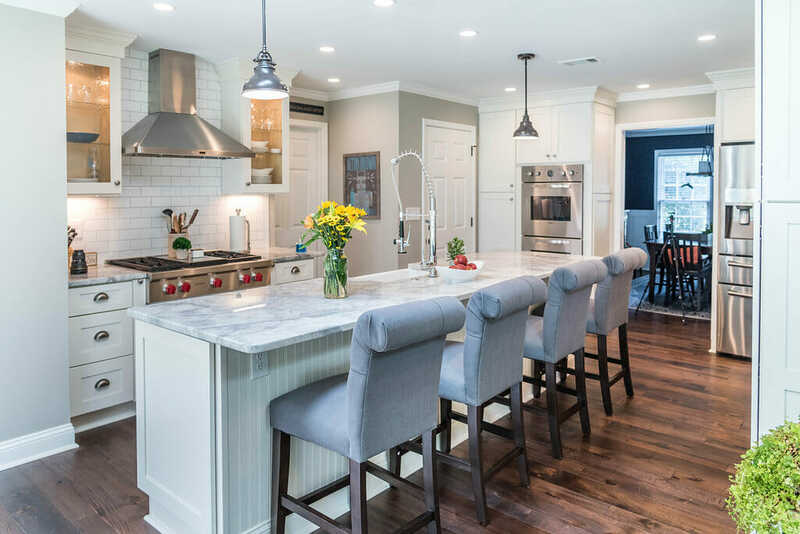 This first-floor remodel gives our clients the best of everything — an open floor plan for modern living while preserving the home’s traditional Southern charm. 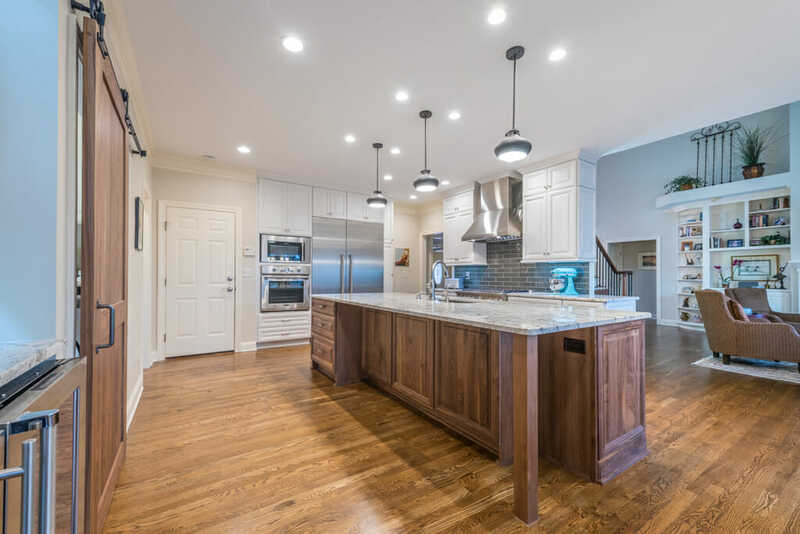 A cramped, outdated kitchen gets a light, bright renovation that gives this Sandy Springs home a better flow and open floor plan. 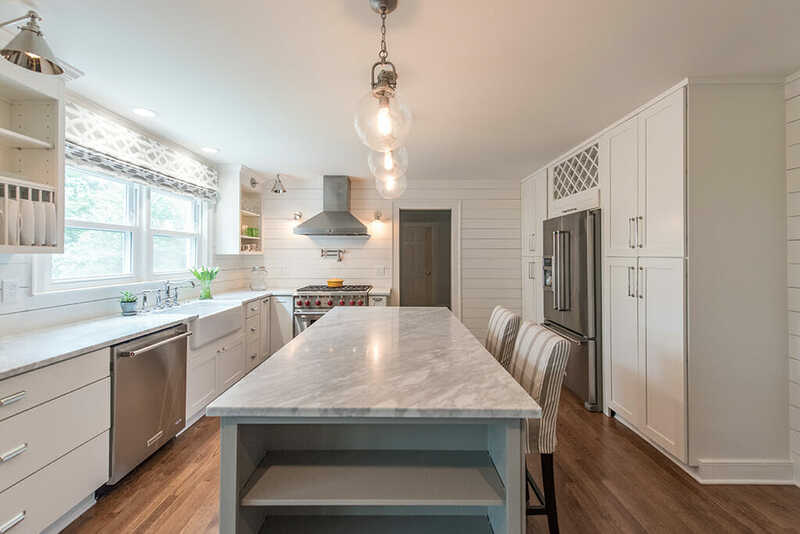 Marble counters, shiplap walls, and the farm sink work together to create a great farmhouse feeling in this Atlanta kitchen remodel. 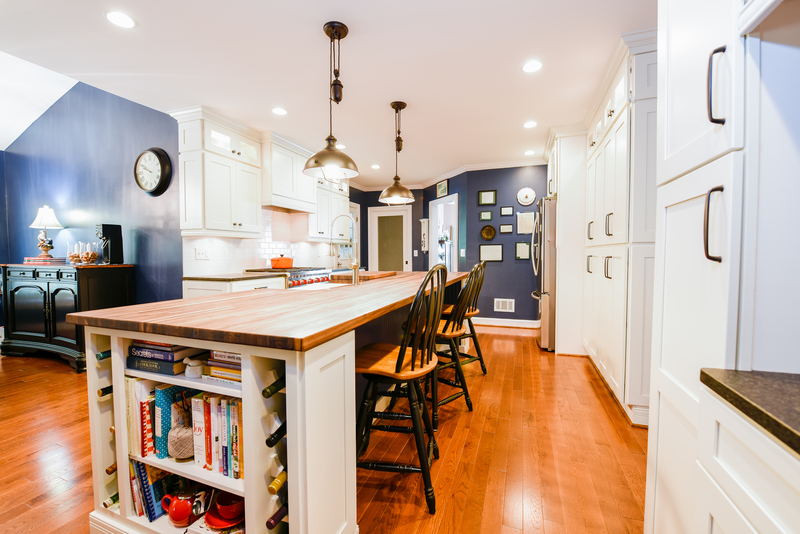 The long butcher block island is the focal point of this classically updated kitchen remodel. White subway tile adds a timeless look. We updated the first floor in this Roswell home, remodeling the kitchen with a gorgeous farm sink and island with room for seating.